Governor Willie Obiano is minutes away from being announced the winner of the Anambra gubernatorial election as he consolidates his lead. Willie Obiano of the All Progressives Grand Alliance, APGA, has won the 2017 governorship election in Anambra State. Going by the results of the Governorship election so far announced by the Independent National Electoral Commission, INEC, the APGA candidate, who is also the incumbent governor of Anambra State, is leading his other contenders with wide margin. 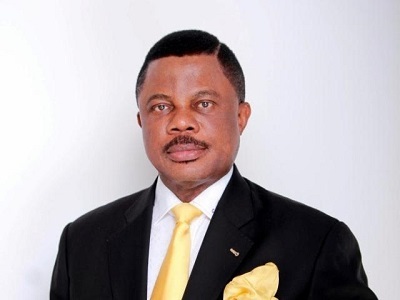 Of the 21 Local Government Areas of the state, results of 18 Local Government Areas have been submitted, out of which Obiano is comfortably leading in all the LGAs. However, a formal declaration of the winner as well as three remaining LGs is being awaited‎ as of the time of this report.